The family are behind the major Toyoko Inn chain. THE FOUNDERS OF a major Japanese hotel chain whose outlets are staffed almost exclusively by women are the mysterious buyers of Charlie Haughey’s imperious Kinsealy estate. The Sunday Business Post yesterday revealed the Nishida family were behind the 2013 purchase of the entire 18th Century-Abbeville manor where the controversial former taoiseach made his home between 1969 and his death in 2006. The family patriarch, Norimasa Nishida, started the Toyoko Inn chain of budget business hotels in 1986. The hotel portfolio now includes 248 properties in Japan and South Korea with a total of over 48,000 rooms. Haughey previously offloaded the estate and stud farm to Celtic Tiger developers Manor Park Homes in 2003 for €45 million to pay legal fees from his Moriarty Tribunal appearances and a tax bill of nearly €6.3 million including penalties and interest. Manor Park Homes had planned to turn the 14-bedroom property, which features its own helipad and sits on 247 acres of grounds, into a hotel and golf course before the company went bust. Abbeville was sold for an estimated €5.5 million to a company called Cufbay Limited, run by the former Irish ambassador to Japan, Brendan Scannell. He is now chairman of the Toyoko Inn chain’s international division. The Business Post said Toyoko Inn plans to make Dublin its international headquarters ahead of European expansion plans, although the family is reportedly yet to decide what to do with the property. In Japan, the chain has the unusual policy of hiring workforces almost entirely made up of women and it has been reported that 95% of its approximately 8,500 employees are female. One English-language flyer describes its approach as “the feminine touch in hotel management” to provide “care and hospitality to the weary traveler”. Nishida stepped down as company chairman in 2008 after a scandal in which it was revealed the company had illegally removed disabled parking spots at some of its hotels after the buildings passed inspection. 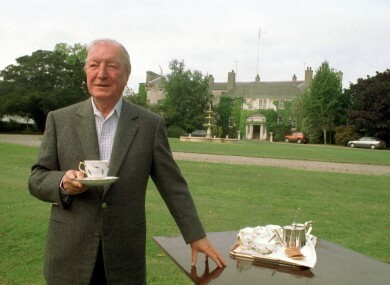 Email “Some Japanese hoteliers with an unusual staff policy have bought Charlie Haughey's mansion”. Feedback on “Some Japanese hoteliers with an unusual staff policy have bought Charlie Haughey's mansion”.